I’m a member of Rochester Women’s Network, a local networking organization for professional women that was founded in 1978. It’s the largest of its kind in the country. One of their signature events is a dinner to celebrate their annual Women Inspiring Women Award, or the ‘W’ Award. 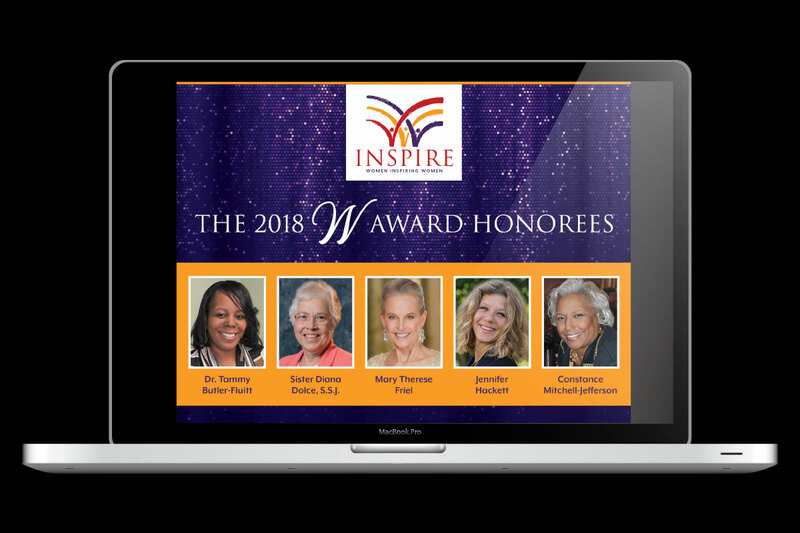 This prestigious award is presented to a woman in the community who goes above and beyond to help further the personal and professional growth of women. iV4 is a leading IT consulting, managed services, security, and cloud company, that provides custom-architect solutions. They are a local mid-sized company with a national reach. 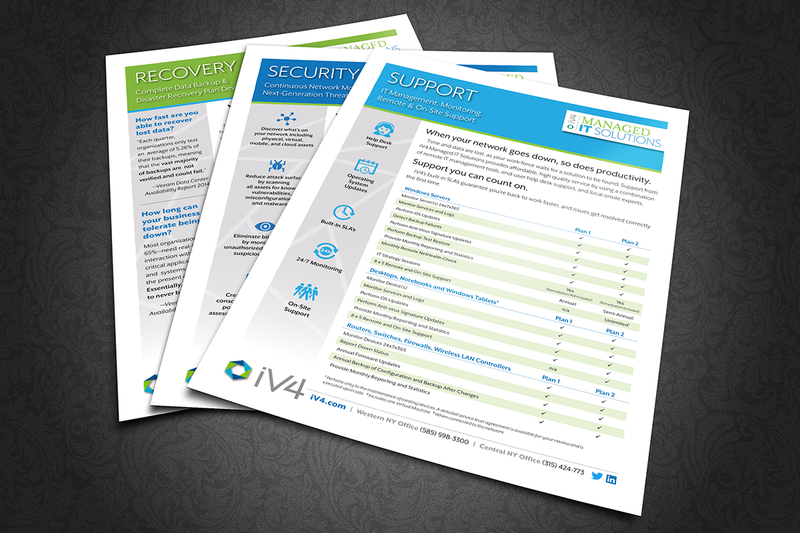 Rebecca, the marketing manager, came to me to help with promotional material for their Managed IT Solution line of services which includes Recovery, Security, and Support.